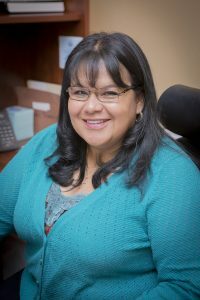 Lupe Munoz - The Legal Connection, Inc.
Lupe began her career in the Court Reporting world more than 30 years ago when she was approached by the owner of a small court reporting firm to manage the day-to-day operations of the company. Over the years, Lupe built a Rolodex of Court Reporters that few can beat. When that small company closed its doors in 2009, Lupe joined another company and helped guide the creation of their newly formed court reporting division. Lupe joined The Legal Connection team in 2010 to provide TLC’s client’s with court reporting, videography, and transcription services. Debbie and Lupe communicate daily to ensure the client receives premiere service. Lupe works very closely with her team and the production department to ensure the court reporting and videography products meet TLC’s high standards. Married to the love of her life for more than 30 years, Lupe has three daughters, the youngest of which is a twin to her only son. When not doing laundry, cooking, or cleaning, Lupe enjoys reading and walking the family Boxer.